The advent of new technologies is driving rapid upgrading of national payment systems around the world that are enabled with rich data and real-time capabilities. National payments service providers and regulators are driving the adoption of both real-time retail payment system (RT-RPS) and ISO 20022 payments message standards to cope with the rise of digital payments that demand for speed and data richness. Asia Pacific countries could save more than $7 billion in the next five years by adopting digital payments and eliminating cheques. Eighteen economies have already launched RT-RPS, while 13 countries are currently planning for its implementation. In addition, ten of 28 national level ISO 20022 initiatives have been implemented. Spurred by new technologies and a desire to develop a more inclusive financial system, economies across Asia Pacific are going through rapid digitisation. However, gaps in current payments infrastructure have resulted in prolonged dependence on slow and cumbersome paper-based payments that ill-serve the needs of customers with complex cross-border and multi-currency payments and transfers requirements. In some countries, it is at times faster to physically deliver cash than to use traditional electronic transfers such as automated clearing houses (ACHs) or wire transfers. There is increasing demand for transactions to be conducted faster, in near real-time, to carry richer information for matching and reconciliation purposes and in standard formats so that they can interoperate across systems in different countries and regions. To this end, national payments service providers and regulators are adopting a two-pronged approach – One by implementing a real-time retail payment system (RT-RPS) and two, by adopting the ISO 20022 payments message standards. With 79 systems live, real-time gross settlement system (RTGS) that handles high value payments are prevalent around the world. In contrast, RT-RPS that handles small retail and corporate payments are much less so. While there is a way to leverage on RTGS to enable near real-time retail payments as seen in the UK, it is not optimal. This method relies on larger banks to provide agency services to smaller players. To enhance efficiency, payments are usually pooled and therefore not technically processed real-time. Additionally, it is hard for the large bank to guarantee 24X7 service. RT-RPS solves this issue by being more open, and while implementation differs in countries, they have in common instant fund posting and payment confirmation, the adoption of ISO 20022 data standard and 24X7 operation. To date, according to SWIFT, there are 18 economies with live RT-RPS and 13 that are planning, which include the 17 countries in the eurozone. It is unsurprising that the demand for RT-RPS arose out of the fast growing small value digital payments, especially from the P2B and P2P, space. In fact, even a small country such as Singapore generates over four billion non-cash payments per year. This highlights the huge demand and the tremendous opportunity to yield more efficiency with a RT-RPS. To be sure, according to Deutsche Bank’s co-head of market management for institutional cash management, Paula Roels, regulators are pushing for instant payments to increase in the velocity of money. Economically, higher velocity usually signifies a more robust economy. “If money is received instantly, goods can be shipped quicker and that positively speeds up the economy”, she added. This increase in payments velocity would also aid the growth of the Small Medium Enterprises (SMEs), an area that is highly prioritized by most governments in the region. According to SWIFT’s Michael Moon, Head of Payments Asia Pacific, “SMEs tend to be the larger beneficiary for this improvement in velocity in getting paid as they typically face the largest constraints in working capital. Freeing working capital for other purposes is critical for SMEs to realise their business ambitions”. To be sure, a UK government study showed that 48% of SMEs in UK are frustrated by payments taking too long to reach their bank and these delays are negatively affecting their ability to run their business. However, commercial potential of current implementations is partially constrained by their low limits. Many regulators in the world are actively tackling this issue and in May last year, the Association of Banks in Singapore raised the limit of Singapore’s system from $7,500 to $37,000 to better serve the needs of commercial users. At present, the benefits of speedier payments are overshadowed by the complex process, liquidity and credit issues that instant payments might potentially bring. To this end, SWIFT has launched a global payments innovation initiative (GPII) to improve global payment outcomes for corporates. From next year onwards, financial institutions around the world will be introducing same day payment outcomes to corporates, proving greater visibility and transparency to payments through a tracker and adding extra remittance information to support efficiencies and further automation of corporates reconciliation processes with their back office, supply and financial systems. The key shortfall of traditional electronic payments, usually based on SWIFT’s MT messages, is its limited data capacity and poor compatibility across systems. According to a paper published by SWIFT and Payments Canada (formerly Canada Payments Association) titled ‘The economic benefit of adopting the ISO 20022 payment message standard in Canada’, the reason that cheques continued to be favoured despite the availability of faster digital channels in Canada is the latter’s limited capacity to carry information. These attributes effectively position it as the de facto messaging standard for integrated financial markets such as the ASEAN Economic Community as well as for domestic real time payments systems. In fact, the adoption by ASEAN, China’s CIPS, EU’s SEPA and also the US is widely seen as the biggest affirmation of the standard. 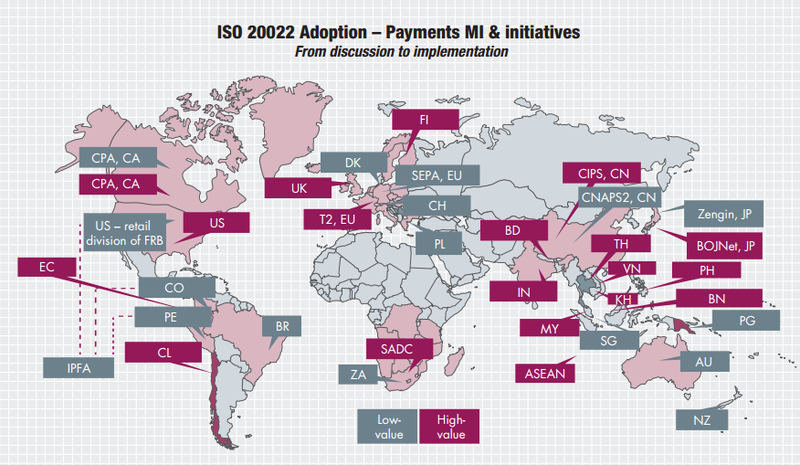 According to Roels, these developments have turned ISO 20022 into “massive impetus for the payments industry and banks can no longer regard it as another IT project”. In addition to standardisation and interoperability, the ability to carry more information promises significant cost savings through the reduction of physical payments, especially in the form of cheques. In the same Payments Canada piece, it is estimated that Canada can potentially save up to $4.5 billion over five years from the reduction of 1 billion cheques per annum. The biggest beneficiary should be the businesses as they currently bear the costs associated with cheque processing and reconciliation. Countries in Asia also have the potential to save more than $7 billion from this reduction over the next five years, with India as the largest beneficiary (Fig. 3). Additionally, Moon highlighted that ISO 20022 allows further innovation to be easily applied via overlaying new services over ISO 20022 enabled systems. He added: “With the enhanced data capabilities, complex workflow management for payment services is now a reality for compatible systems and this a step towards the simplification of the payments process.” For the corporates, richer data allows for not only better analytics, but also supports more efficient reconciliation processes. In fact, he noted that increasingly, corporates are requiring banks to deal with ISO 20022, especially for the multinationals. However, true interoperability is still obstructed by the variability in deployment, market rules and other technicalities that have led to a fragmentation of ISO 20022. Roels quipped:” “Quite simply, if we do not have a common operational standard that we can agree upon then we are not going to be able to take full advantage of the benefits that ISO 20022 was originally set up for.” To this end, SWIFT is actively driving the harmonisation through its MyStandards initiative with more than 24 market infrastructures have been on boarded onto this initiative. Banks on their part “must start establishing working groups that look beyond the single silos that they currently operate in”, added Roels. Progress – are the nations and banks ready? Across the globe, there are 28 national level ISO 20022 initiatives with 10 already live, of which eight are in Asia Pacific. In ASEAN, only Singapore and Brunei are running live ISO 20022 systems. Moon revealed that there are over 200 ISO 20022 initiatives globally and the trend is accelerating. Incidentally, these have led to the ISO 20022 fragmentation we talked about earlier. 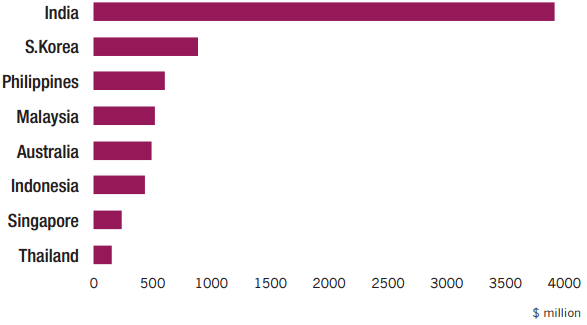 Interestingly, when we surveyed close to 30 transaction banks in the region, less than 30% are compliant with ISO 20022. In contrast, close to 40% already have automatic reconciliation capabilities and almost all have real time capabilities to settle payments. 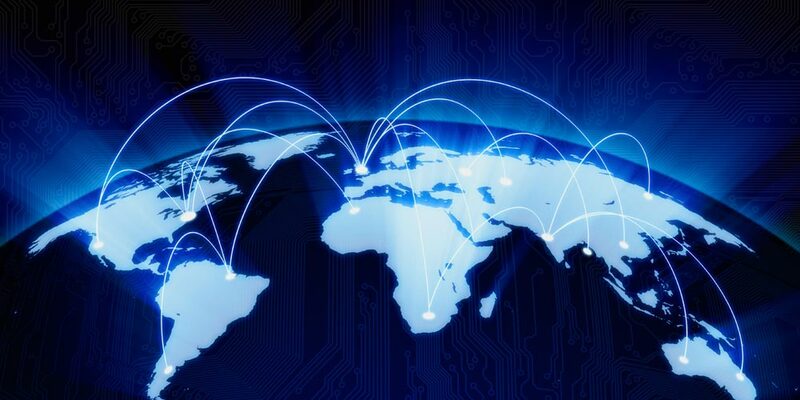 This highlights the paradox of real world application where having brought domestic real-time payments capabilities within reach, interoperability across the region remains a distant goal. Ultimately, the current implementations of RT-RPS and ISO 20022 are two equally important keys to achieving both speed and expanded information capacity. Without either, utility of modern payments systems would be drastically reduced. Looking ahead, perhaps the industry should look at the adoption of blockchain or the distributed ledger system as a chance to create a truly instant and borderless global payments system with ISO 20022 as the bridge between old and new infrastructures. To this end, SWIFT is collaborating with the new blockchain start-ups to define ISO 20022 role in blockchain stack as part of the Hyperledger consortium. As the world huddles towards the adoption of RT-RPS and ISO 20022 standards, the timeliness, richness and interoperability that they promise will unlock a myriad of opportunities for banks and their clients.